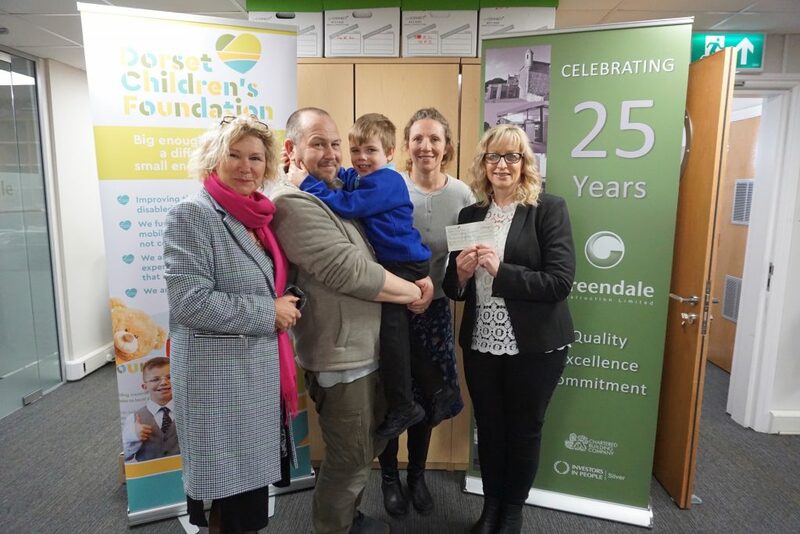 Dorset Chartered Builders, Greendale Construction Limited, has raised £2055 for the Dorset Children’s Foundation, with the money going specifically towards sensory equipment for 7 year old William May. William was born with the main arteries of his heart the wrong way around which affected all of his organs, and sadly, caused him to suffer brain damage, leaving him with a diagnosis of Global Developmental Delay; a condition which impacts all areas of his development. In addition, William, who attends The Victoria School in Poole, suffers from epilepsy, with every seizure posing a risk of further brain damage, as well as the loss of many of the skills he has worked so hard to master.